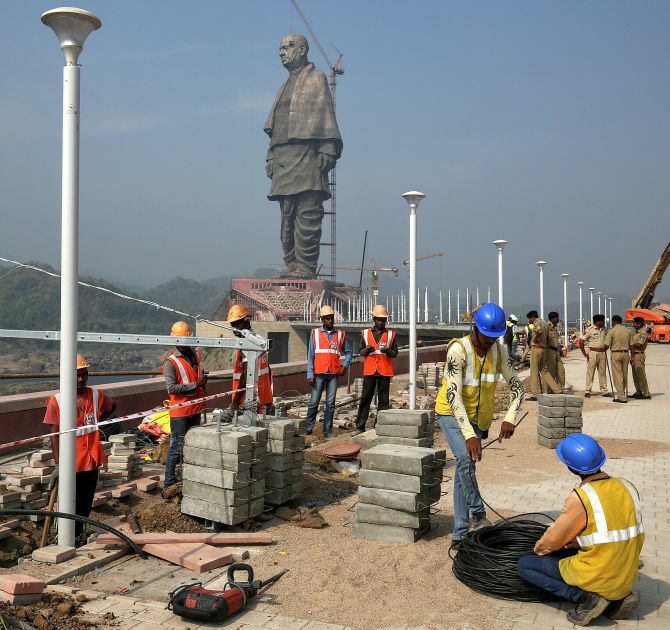 IMAGE: Labourers at the site of the Statue of Unity, Kavadia, Gujarat. Photograph: Amit Dave/Reuters. 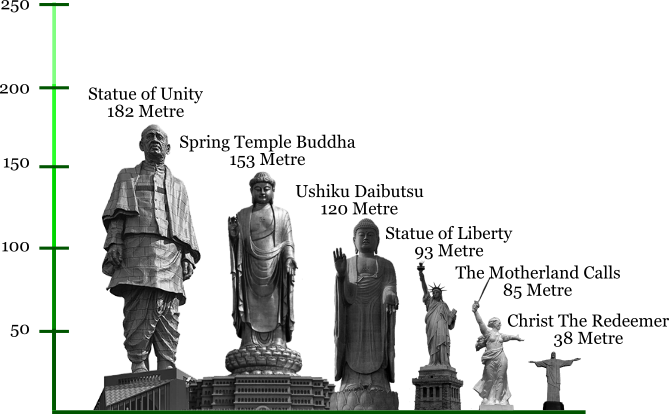 1.The Statue of Unity, celebrating the Iron Man of India's life, stands tall at 182 metres above the Narmada river. 3.The ambitious project will cost Rs 2,389 crore (Rs 23.89 billion). 5.The statue can withstand a wind velocity of 220 km/hour and earthquakes measuring up to 6.5 on the Richter Scale, which are at a depth of 10 km and within a radius of 12 km of the statue. 7.Around 200 visitors at one time can travel to the structure's head, walk into a viewing gallery and enjoy a panoramic view of the Sardar Sarovar Nigam project and the surrounding region from a height of close to 400 feet. 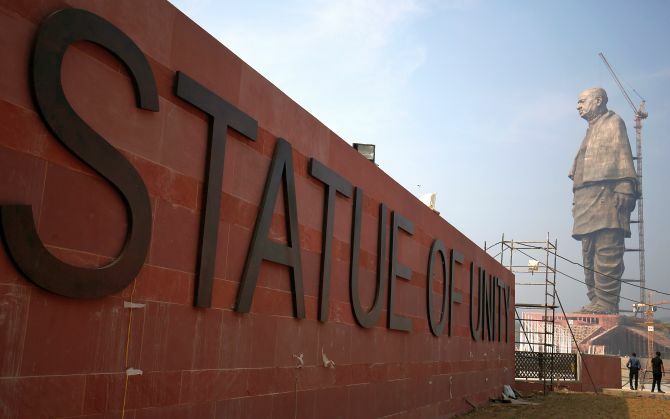 8.A Sardar Patel museum has been created at the base of the statue. The museum will showcase 40,000 documents and 2,000 photographs on India's first home minister's life. 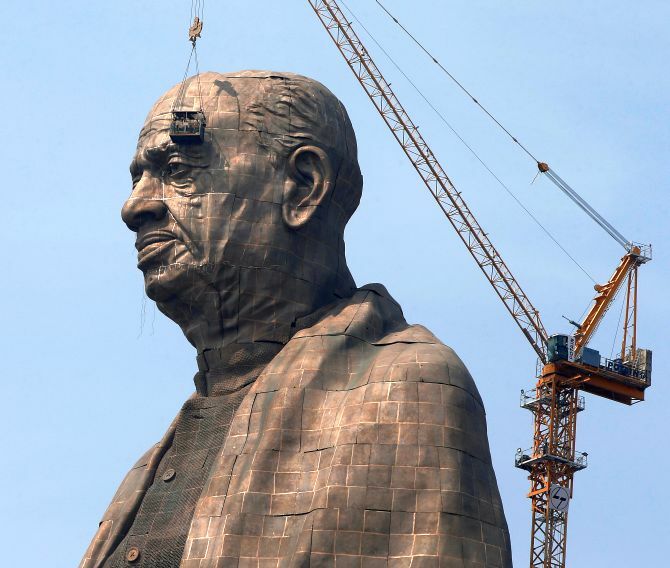 9.Some critics say the statue is an example of Modi and his Bharatiya Janata Party's effort to appropriate a popular national figure, a leader, incidentally, of the Indian National Congress. 10.Ironically, when he was alive, the Sardar was against the building of statues and memorials to glorify leaders.